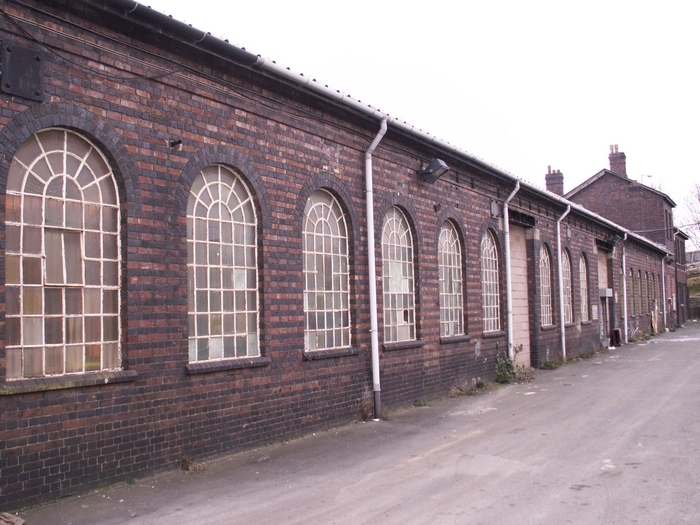 A building I'd spotted on an earlier foray around Walsall, Network Rail's Corporation Street depot had unfortunately remained somewhere of considerable interest that, due to its location and security, I hadn't been able to explore. 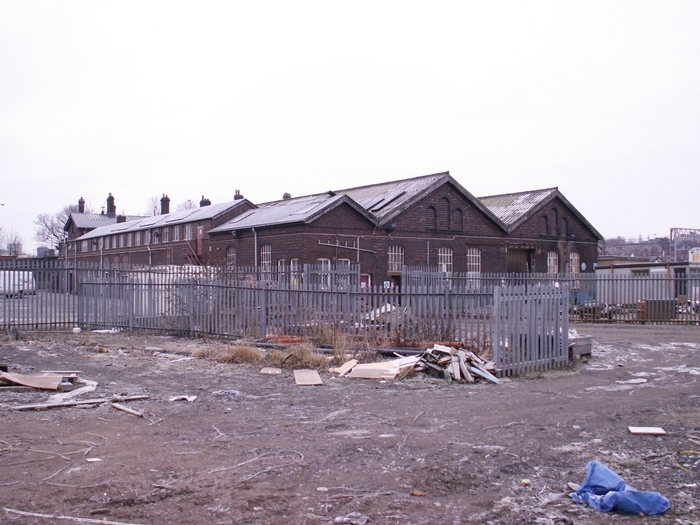 However, the facility closed at the end of 2008 with staff transferred to a new £3m facility adjacent to Sandwell & Dudley station and demolition workers due to enter the site on 05/01/09 following a hand-over from Network Rail. 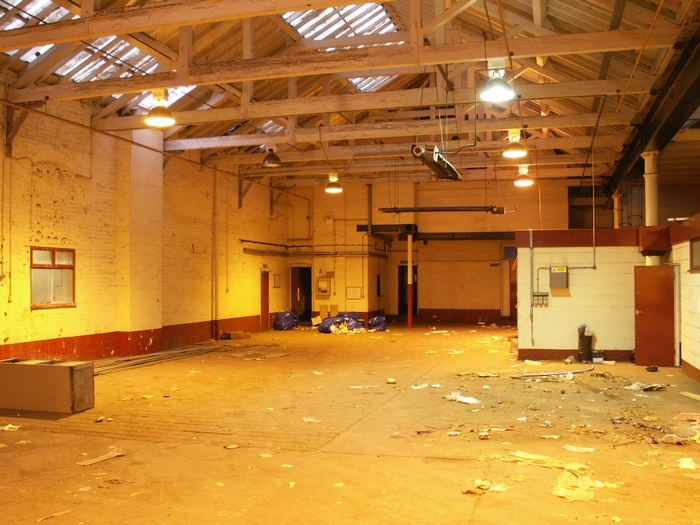 In this short window of opportunity, and with Network Rail permission I might add, access was gained to the facility and below are some of the results. 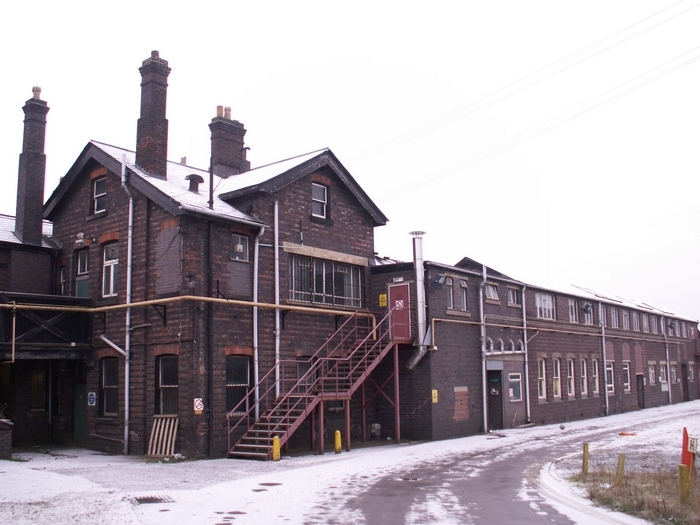 The building was of LNWR construction and housed a variety of rail infrastructure departments concerned with the maintenance and installation of signals, telecoms and track. 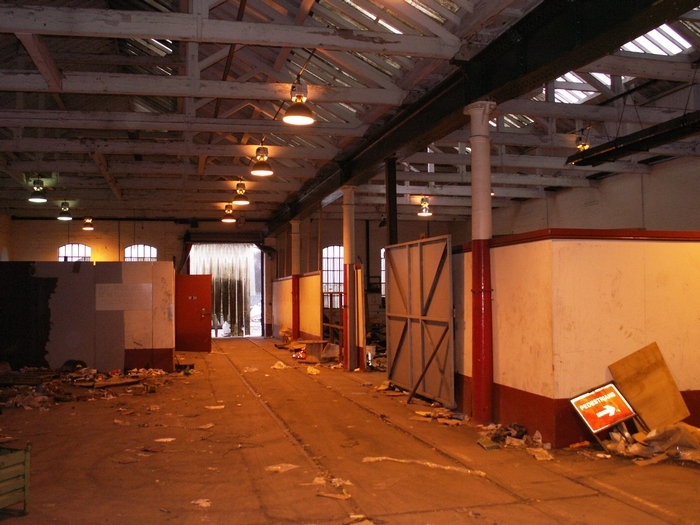 Whilst I'm not certain of its original purpose, it was at the heart of the sprawling goods facilities at Walsall and the site itself was used for maintenance and inspection purposes for many years with the Chief Surveyor's inspection coach being housed here. 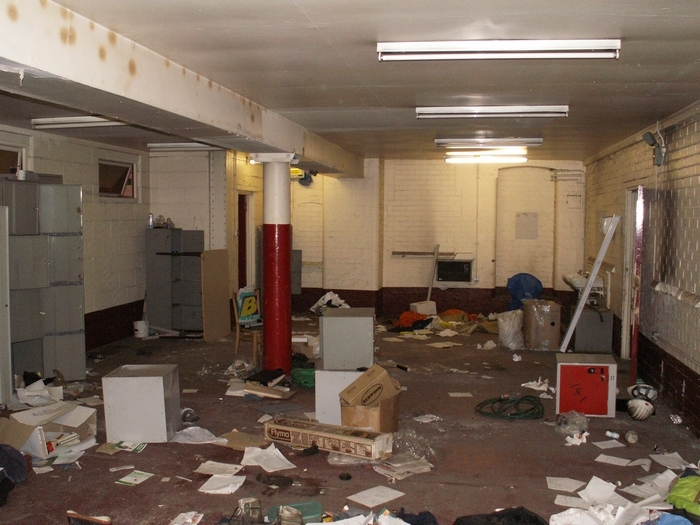 We start with a tour of the rather grim exterior of the main building seen here from the entrance to the facility off Corporation Street. 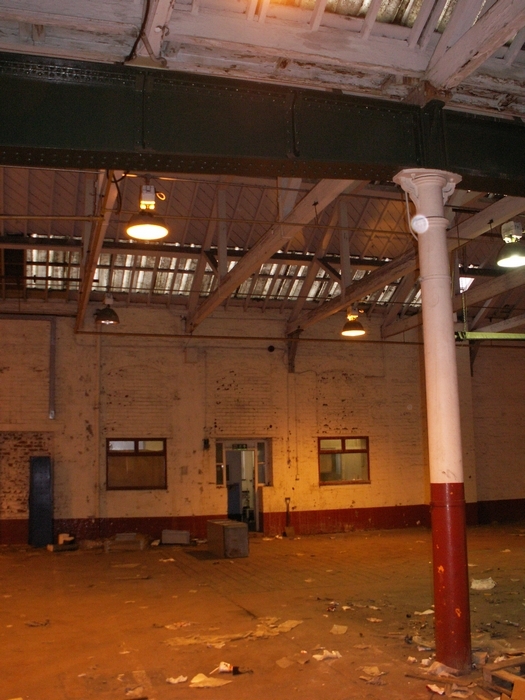 Walking ahead to the end of the building and looking back towards the entrance provides this view of the ex-LNWR structure. 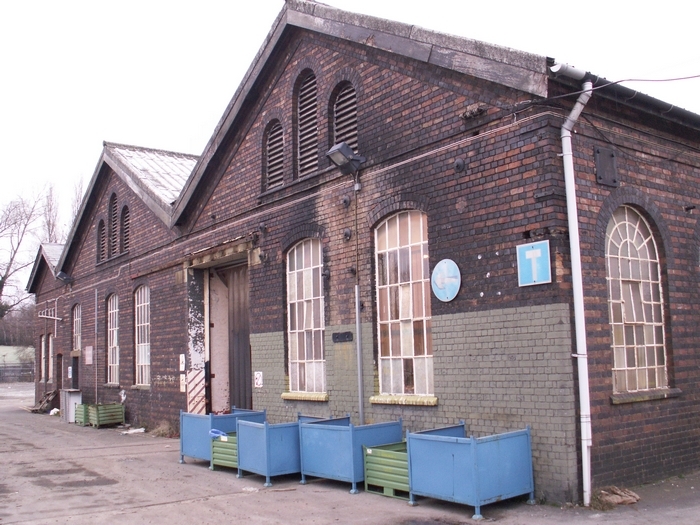 The rear of the building provides rail access to the main workshop area - in the enlarged view the rail connection can be discerned immediately to the left of the blue crates. The view to the right of the previous shot looking towards Corporation Street. 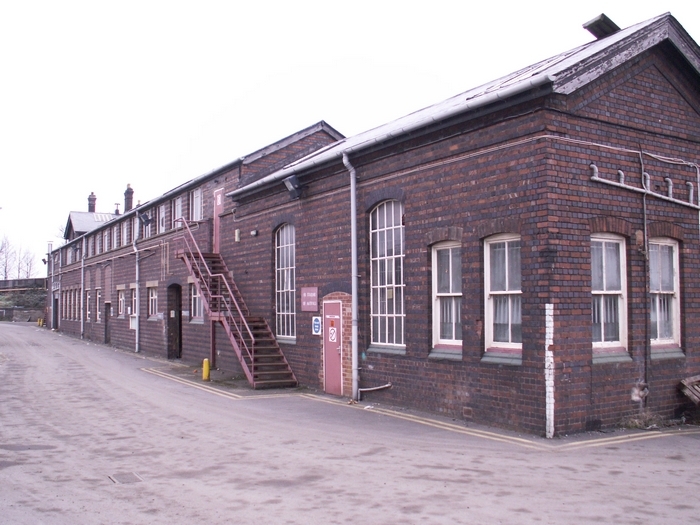 This view shows the whole building from the yard itself - to the rear of this position is a small yard still in use with sidings for tamping and track maintenance machinery. Entering the facility on the 'trackbed' we see stores to the right, a workshop to the left and an impressive oak beamed vaulted roof. 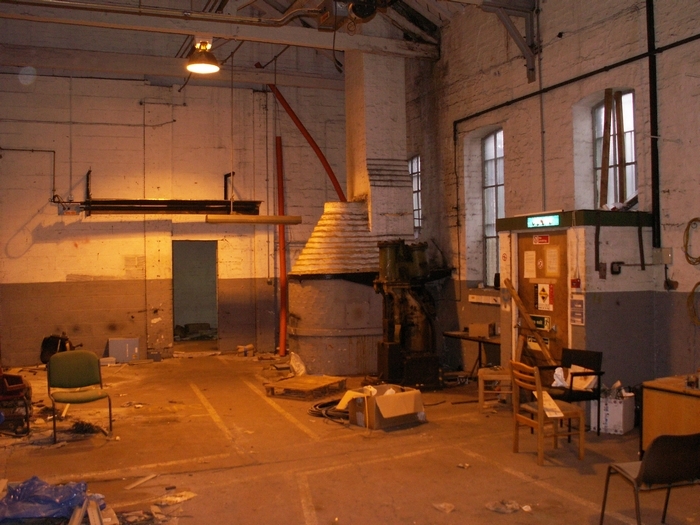 Immediately to the right of the previous shot is two store rooms and a small workshop seen here. At the end of the track, is a large open area off which a number of small corridors run to a variety of warren-like offices and stores. 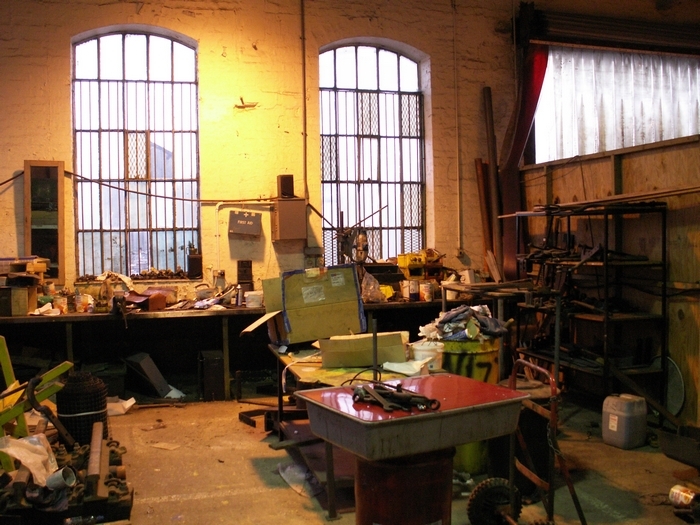 Ahead-right from the previous shot finds us in another workshop with machinery still in place along with a coal-fired boiler, central to the shot. 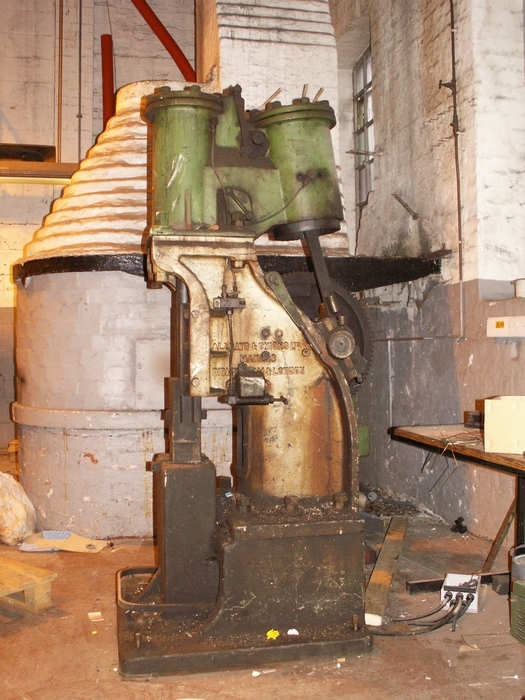 Here we see a close-up of the remaining machinery made by 'Alldays & Onions Ltd' of Birmingham. 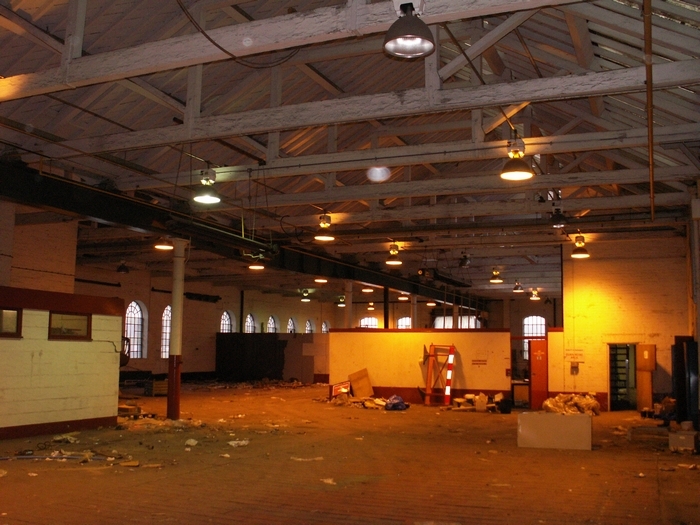 The mess area of the site, whilst living up to its name, was a more recent addition to the building and appears to have been cleared in a hurry! Exiting the mess area we are back in the main part of the rail-connected workshop area looking towards the ground floor offices. 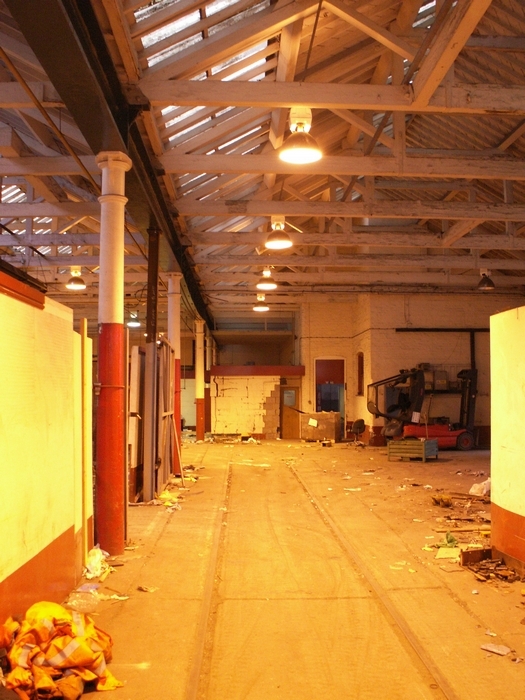 At the end of the of the rail-connected workshop area we have turned to look back to the entrance to the building. Here we are making the reverse journey along the trackbed towards the exit to the yard. 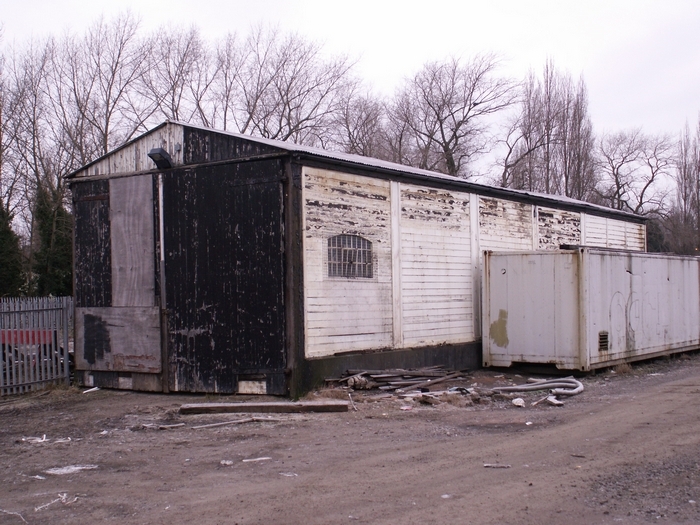 Back in the yard, this shed was used to store the Chief Surveyor's inspection coach. 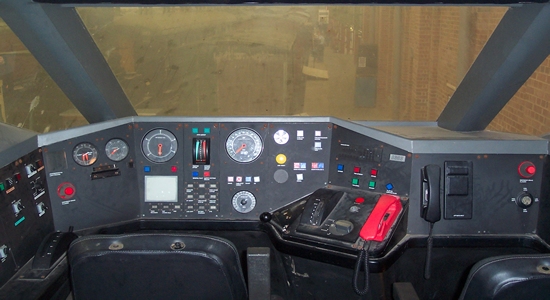 A view inside the ex-Chief Surveyor's shed reveals the rails are still in place to the left. 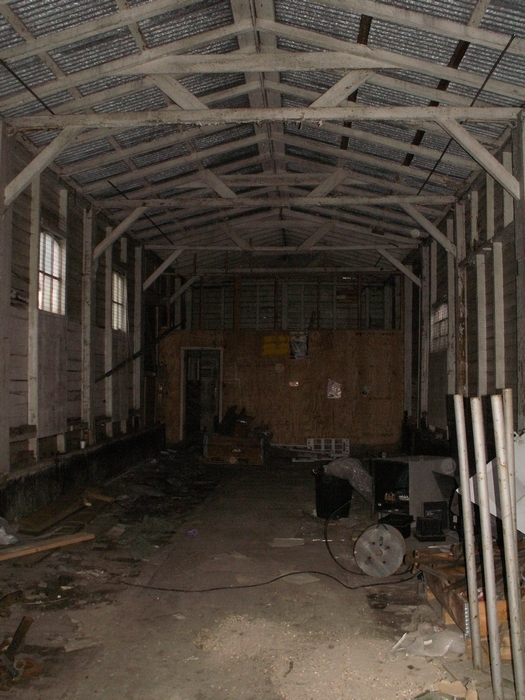 However, the shed has been used as just a store room for many years.